In this fourth installment of the UXify 2017 conference blog series, sponsored by Infragistics, Becca Danna, UX Researcher at Google, describes the confluence of research, design, and Artificial Intelligence (AI). 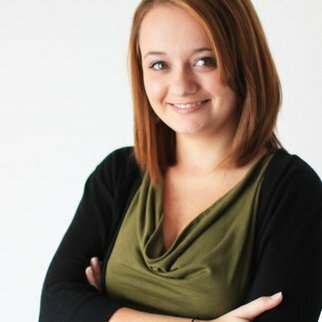 [KR] Rebecca, you're a UX designer and a researcher with a formal background in Product Design. Tell us a little bit about your research into designing for Artificial Intelligence. [Rebecca] In the fast emerging world of cognitive and artificial intelligence within user experiences, the notion of putting the human in technology has taken on a whole new meaning. You are no longer designing for how a human interacts with a piece of software or a website, you now have to consider how to design for a smart computer, one that understands natural language, and interacts with a human. Let’s take for example the bots that many companies are using from IBM Watson Help to Duolingos language learning bot. These tools are examples of a piece of technology that a real life human will interact with, yet these bots can think for them self - they can interpret emotions, sentiment, cues in language, and beyond. The conversation that the bot has with the user needs to be carefully tailored, finding a pleasant balance between a smart, effective tool but something that does not feel too human that it is scary (if you don’t understand why I use scary here, go watch iRobot, 2001: A Space Odyssey, or Ex Machina). In my presentation, I shared my thoughts & experiences conducting research when preparing to design for an AI bot along with the new responsibilities & obligations this adds to us as designers, researchers, and even developers. KR NOTE: My apologies for the quality of the sound (or lack thereof). You may just want to use the video as a slide share. Rebecca is a deeply passionate UX Designer, Researcher and Strategist focused on applying Design Thinking and human centered design methodologies to solve complex business or user problems. She is often found evangelizing design as a strategic role and enforcing making research driven decisions. She enjoys educating other disciplines in how design can support their role, as well as how they can get involved in the design process.